Death, it seems, is still the best career move for an ailing pop star. During the final years of his life, Michael Jackson was crippled by debt and close to bankruptcy, even defaulting on a $25 million mortgage he had taken out on his 2,700-acre (1,090-hectare) home, Neverland Ranch. But now, just nine months after his fatal overdose Jackson is again the most valuable musical brand on the planet, with his estate having finalised a record-breaking deal with Sony Corporation worth up to $250 million (£165 million). Under the agreement, dozens of Jackson songs not heard before will go on release for the first time, with an entirely new album expected in time for Christmas. 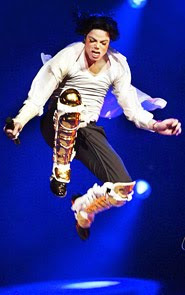 Reissues of classic Jackson albums, and remixes and DVDs of the singer’s videos, are likely to follow. Unlike recent blockbuster music deals — such as Live Nation’s $120 million touring-to-albums pact with Madonna — the Sony-Jackson partnership will not include merchandising, or the rights to the late singer’s likeness. Instead, Sony will supply the Jackson family with a series of advances, which will be paid off by royalties from album sales and revenues from licensing material for video games, films and other theatrical performances. The latter could include a widely rumoured, Jackson-themed show by Cirque du Soleil in Las Vegas, which would almost certainly have an accompanying soundtrack album. The Sony deal was possible only thanks to an agreement struck by Jackson in the early 1980s that gave him ownership of all his recordings. Sony previously had the right to distribute those songs until 2015; the new arrangement is reported to extend that deal by two years, while also covering new material. The Jackson family still have debts to pay off, however, largely because of the late singer’s notoriously out-of- control spending habits: he once blew $1 million on a single shopping spree in Las Vegas. By the end of this year the estate is expected to pay back $125 million of the musician’s loans, including $35 million owed to AEG, the concert promoter that was in the late stages of planning a series of Jackson comeback shows at the O2 arena in London when he died. Sony’s deal with the Jackson estate, encompassing about ten albums over the next seven years, would not have been possible without the singer’s enduring appeal: after his death on June 25, Jackson became the biggest selling artist in the US, with an estimated 31 million albums sold worldwide. It is thought that by the first anniversary of his death, posthumous revenue from Jackson’s album sales, tickets to his concert film This Is It and related merchandising will have reached $250 million. Johnny Cash reached No 9 in the charts last month with Ain’t No Grave. He died in 2003 aged 71. Heather Mills "Took Advantage of Ex-Nanny"
Lady Gaga and Beyoncé - The Best of Both Worlds!